As the competition in the industry grows tighter, e-commerce stores are doing their best in finding new and efficient ways to promote themselves. They’ve tried digital ads and email marketing (which is, without a doubt, awesome) and are now giving a hard look to the social media. Throughout the years, social media underwent through a marvelous transformation from your average entertainer to a massive influencer. Social media impacts our political and cultural opinions – as well as our shopping habits. Whether your brand is already present on social platforms or you are in full spate of planning your social media strategy, there are some things that you should be aware of. Call them dinosaurs – these social media tactics will bring you nothing but a headache and an awful ton of cash spent on nothing. Ready to learn about them? One of the worst things you can do to your e-commerce store is to buy a great number of fake likes, spend a lot of money and then observe absolutely zero effect. There is a reason why fake activity on social media profiles is a relic of the past. Before, businesses were sure: the more activity you have on your profile, the more exposure it gets. However, there are a few important things that business owners forget about, which are the EdgeRank and relevancy. For example, if a follower of your page likes all your posts, Facebook will show them your posts more frequently. On the other hand, if non-followers ignore your post, the possibility of showing your post to anyone will drop. So yes, bought Likes will increase your EdgeRank – but with the wrong audience. Your fake fans will interact with the page but won’t buy from you and, at the end of the day, you need real conversions. In addition, the posts that cause the most engagement with fake fans may not be relevant to the real target audience. Thus, real fans may gradually lose interest in your page and your posts will disappear from their feed. For more information on bought likes and alternatives, check out the “Should You Buy Facebook Likes?”. In addition, think psychology. When a user sees that your page has over 1K followers but every post has somewhat 10-15 likes, that would cause suspicion and distrust. Modern users cling to honesty a lot and you don’t want to seem fake only because you made a stupid purchase of 1,000 likes. The golden rule of any social profile is: post consistent and high-quality content. 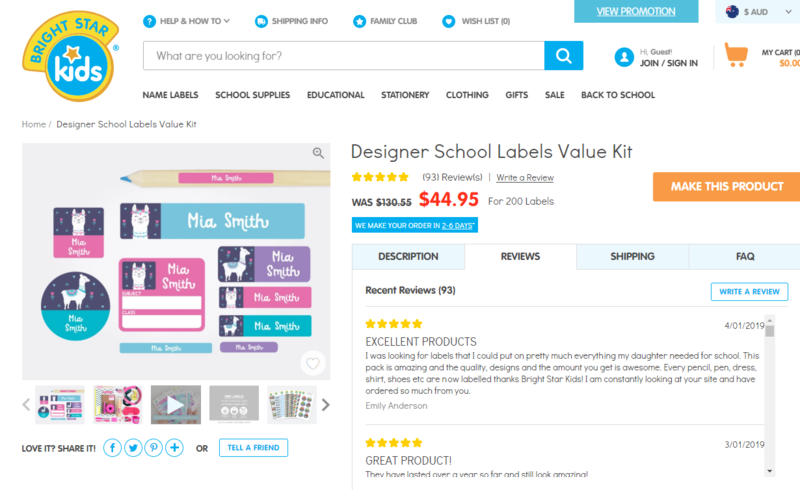 For e-commerce, seems like the whole thing is taped: they can display images of their products, lifestyle, or models. But one crucial thing they forget about is sharing the user-generated content. When the customers tag your product in their post, they want to be noticed by your brand. Sadly, not all companies take this into consideration and thus miss not only the good content but also customer’s loyalty. The user-generated content is so valuable because it’s genuine and is an expression of pure interest in your brand. So try to keep an eye on it and repost whenever you have a chance. A piece of advice for the e-commerce companies: integrate Instagram plugin in your site and then ask your followers to share photos in order to get featured in your feed. This works especially well for big companies who may miss posts from the fans but still want to encourage them for interaction with the brand. To get inspiration for posting on Facebook, read the “Facebook Post Best Practices” article. As we said above, customers value honesty so fake comments, for sure, will not bring any benefit to your business. Fake comments are automatically generated by third-party services and are posted depending on the set target: i.e. you may choose to comment all photos within a certain period of time with a specific hashtag. Such comments normally do not make much sense and are recognized as fake straight away. Most of them would be like: “Awesome profile! Wanna check our feed?” Such insincere flattery instantly pushes the users off. One more thing that many companies do is sending automated DMs to the users once they follow the company. This is a big no-no too. If the user is interested in your brand, he will explore your profile without a reminder. Instead of posting irrelevant comments and annoying the users with automated DMs, interact with your customers by posting genuine responses to their posts and comments. Remember when people used to complain that Instagram is becoming another marketplace? That’s how sponsored ads make users feel. Even Facebook ads can be perceived negatively if done wrong. Unfortunately, many businesses keep investing money in ads on social media that are either irrelevant or non-efficient. A recent report by Adobe revealed that there is a 20% gap between the perception of customers and brands about the ads. While 58% of brands believe their paid ads do the work, only 38% of the users agree with them. Seeing a sponsored-labeled post in your social media feed is annoying and will most probably cause you to report the post. However, companies can still advertise on Instagram or Facebook but do it in a more natural way. 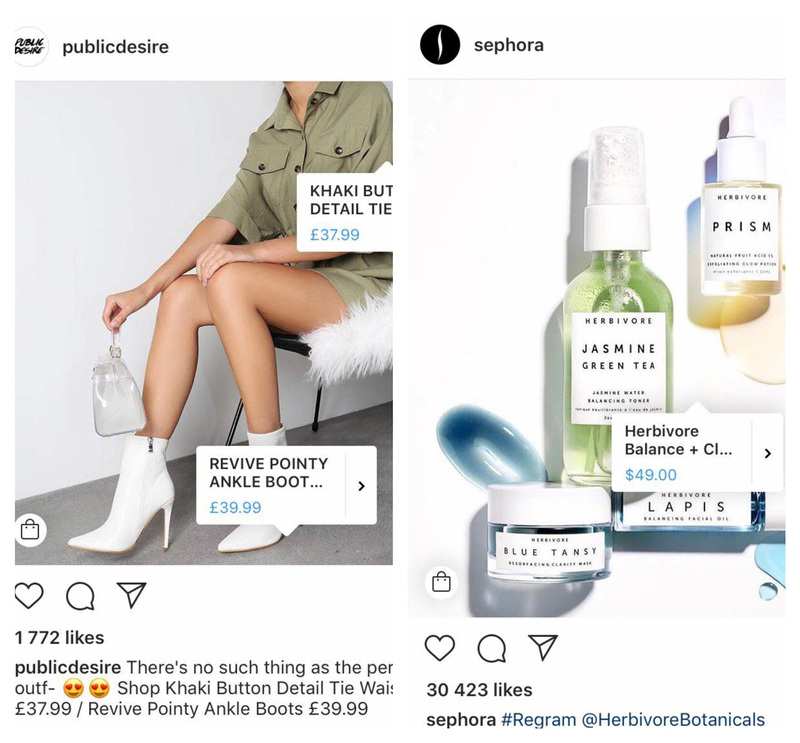 Instagram recently launched new shoppable features that allow brands to tag their products in the posts and let the customers decide whether they want to learn more or proceed with feed scrolling. Pinterest follows the lead with “Shop the look” function and Facebook encourages businesses to do more natural advertising that would look organically in the user’s feed and would not differ much from the regular posts. For more strategies on Instagram marketing, see How to Market on Instagram: 30 Ideas, Tips & Examples. Kylie Jenner makes up to $1 million per sponsored post – but do you really need it if you are a small local retailer or simply has nothing to do with fashion? We see big celebrities all the time when big brands introduce new products. But the problem lies in the fact that 1 out of 1000 brands can afford to hire Jennifer Lawrence for a 30-second video ad. What should other 999 brands do? People are growing less trustful towards brands and the use of irrelevant though big celebrities can actually harm your reputation. So don’t invest a lot of money into an ad with a big celebrity if you are not 100% sure it will bring high ROI. Within the last few years, word of mouth marketing has gained immense popularity due to its genuine and transparent nature. With WMM, you will receive awareness among the customers not because of paid marketing efforts but because someone really liked your brand and spoke about it. In light of this, you can reach out for micro influencers who can affect your target audience greatly but at the same time will not be perceived as fake. Micro influencers are people with a big amount of followers who specialize in a certain activity or products. 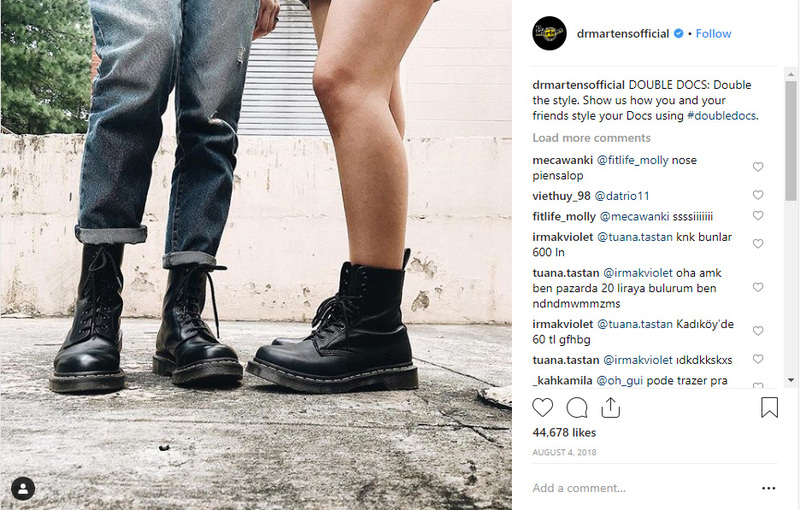 While most big celebrities gladly advertise anything they are paid for, micro influencers normally pay attention only to the products that they consider relevant and interesting. Thus, it helps people perceive them as honest and many customers actually rely on the feedback from such influencers. Reviews by your customers are another incredibly powerful tool in converting the passers-by into buying and loyal customers. People trust other people more than they trust companies and brands so use it to your advantage. One trick to transform your Facebook ad into a natural-looking post is to use a customer review in it. As well, you can add the reviews to the product pages or place them on a visible spot at the homepage (depending on the size of your store and the products it offers). Do a lot of research to see what content causes the most engagement, at what time the users are most active. 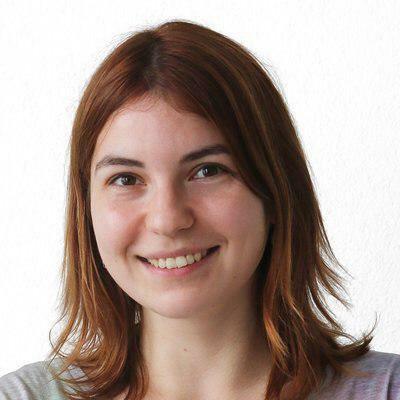 Don’t post what you think is interesting – post what USERS find interesting.